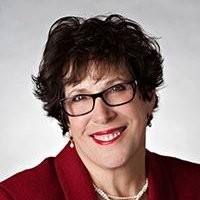 Nancy Steiger is an accomplished Senior Executive, Consultant, Thought Leader, and Board Member with more than 40 years of success across the healthcare and non-profit industries. Leveraging extensive experience in strategic turnaround for healthcare companies, she is a valuable advisor for an organization that is seeking guidance on leadership transitions as well as implementing strategic plans. Her broad areas of expertise include leadership, compassion, strategy, operations, executive coaching, and philanthropy. Throughout her executive career, Nancy has held leadership positions with CEO Advisory Network, Nancy Steiger Consulting, PeaceHealth, and San Mateo Medical Center. Is Courage an Undervalued Leadership Attribute? Good leaders are always looking for new ways to become great leaders. They’re working on con..
A reader’s comment on my last article, It's Time We Embraced Sabbaticals, stopped me in my t..
"Next time you identify a problem, I challenge you to consider the many possible ways that the pro..